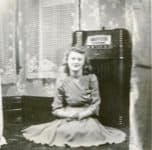 See the most popular 1930s radio shows. Do you recognize any? Do you know which ones were your parents or grandparents favorite? 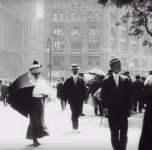 See footage of New York City in 1911 taken by a Swedish company while on a trip to America. From the film collection at the Museum of Modern Art. Check out a list of 20th Century Inventions. Some may surprise you. Imagine how they impacted the lives of your parents, grandparents and great grandparents. Did you know that T.V.s, cell phones and personal computers were considered science fiction in the 1930’s? What did our grandparents and great-grandparents do for fun as children? Is your family from Chicago? Below are a number of Chicago Genealogy Resources that can help you discover more about your roots and the lives of your ancestors in Chicago. Do you have an album or box of old family photographs? Are they labeled? 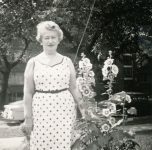 Unfortunately, most were not as it was assumed families knew the person in the photo. 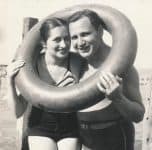 All is not lost, though, as you may still be able to identify your ancestors by knowing what decade a photo is from – by learning how to date old photos. Grandparents Day, celebrated on the first Sunday after Labor Day, was not started by Hallmark as many of us might believe. It was through the efforts of one very dedicated woman, Marian McQuade. Do you live in Chicago? Check out this 8mm home movie footage of 1930s Chicago and travel back in time. How things have changed. Do you remember Chicago in the 1930’s? Do you know someone who does? See what they remember.